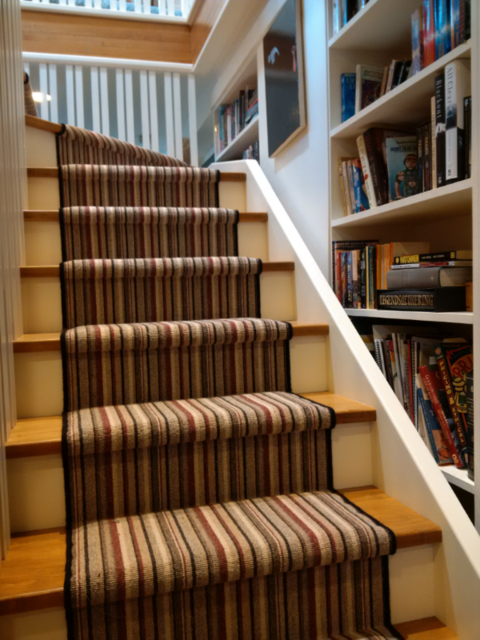 I have envisioned a striped stair runner just like this ever since our renovation. So happy to finally it! Chris Jemmett Masonry was recommended to us by our general contractor. We were doing a major home renovation, with windows and doors being moved, enlarged and filled in. There was also a former home reno that had resulted in some inadequate, patchy brickwork that needed to be fixed. Chris did a meticulous job of matching our 1940s brick with contemporary product as best as possible, and applying the new brick in a sensible way to get the best aesthetic results. He came up with recommendations that went above and beyond what our general contractor had requested, and he worked hard to fit the work into their overall schedule for coordination with other subtrades. His thoughtful, considerate manner made him a real pleasure to interact with. Greening Homes truly lives up to their slogan of “Renovations done responsibly.” They respected our budget limitations, encouraging us to reduce the initial scope of our plan to be more realistic. They also tracked our weekly progress against expenditures, and suggested opportunities for us to save money by performing labour ourselves when it was safe and reasonable to do so. They listened to our priorities and were helpful in maintaining the big picture focus on overall environmental impact, health implications of materials used, and energy efficiency. The crew was creative and flexible in terms of providing design recommendations, such as salvaging and re-using existing materials. The project manager went to bat with sub-contractors to oversee costs and maintain quality – we really felt that he worked for us, in our best interests. In the case of any mistakes or errors Greening Homes took responsibility immediately and offered appropriate compensation. They were very conscious of timeline considerations and worked hard to stick to their original prediction for completion. Communication was incredibly easy, with detailed daily email reports, in addition to phone calls and in-person meetings as needed. Overall we had a feeling of partnership; transparency in the entire process gave us confidence that their motivation was doing our renovation right, not maximizing profit. Discovered middle of the night that our furnace wouldn't come on. First big snowfall, out of town guests, newborn baby and a holiday weekend - could it be any more of a cliche for a furnace disaster? I left messages with 3 companies, and Max was the only one to get back to us right away. He came the next morning, at no extra emergency/holiday rate, fixed our problem and his rate was very reasonable. Agility Moving did a great job moving the contents of our three bedroom house to our new home. Setting up the initial appointment was easy, and I appreciated having a confirmation email to refer to when the date got close. They took lots of care in packing fragile/valuable items, consulting with us as they went to make sure we were satisfied with how they were doing it. And they worked very hard all day long with hardly a break - we could tell that we weren't paying for any more time than was necessary. We're very happy that everything fit in the truck, and nothing was broken or damaged en route. We greatly do appreciate that you took the time out of your busy schedule to submit this great review. We are all happy to hear that we met your expectations. We are firm believers in customer service, and will continue to provide the level which you received on your move. In the future, please keep in mind that if you do require our services you can request the same crew. Stan was the only electrical contractor to get back to me - I really appreciated his initiative in following up and coming out to give me a free quote on the repair/replacement of our outdoor electrical outlets. Although it took a couple of days to work out the time for the appointment, my schedule was flexible enough that it wasn't an issue. Once he got here the work was done fast and efficiently! It took a while to get the service call for our energy audit sorted out - there was a mix-up with the date, so we had to re-book. However, the staff taking calls at the GreenSaver office were very friendly and helpful in re-booking on a tight timeline. We were happy to get a comprehensive overview of what energy savings measures we can take, and liked that they followed up after with the option to get an estimate on insulation (with no sales pressure whatsoever). We love our new cedar frame and black chain link panels fence. It is such a unique, cost-effective, and attractive design - we have had multiple compliments from neighbours and visitors. It was really important to get the fence finished before we moved into the house with our puppy, and Mike made sure it was complete, working around some of the worst rainy weather we've had all fall. Thank you for writing an excellent review and shared your view. I am also , happy to see before you moved in; your fence was already completed. Now it can benefit your family and a new member "puppy". Once again thank you for your business . Lepard Tree Care did wonders with the overgrown mulberry tree at our new home. It was a menacing hulk before, but now it's a tall and attractive tree, casting just enough light shade to make the backyard comfortable. It took a little while to coordinate the service call, but once it happened the work went very quickly and to my total satisfaction. Tom, from Victory Locks, was friendly, fast and followed up immediately after his service call with my receipt by email. It wasn't a big job, just re-keying two exterior door locks, but I felt like it got the same care and attention that any large job would have had. I couldn't ask for anything more. It was my pleasure to have met you and your puppy Thurman. I know he will give you much pleasure as a friend can in your new home. Thanks for calling. We provide top notch care in doing our work for our clients. I'd been putting off having my poorly flushing toilet looked at for three years, because I dreaded finding out that it would be a huge, expensive job. But I finally made the call, and it turned out to not be so scary after all. 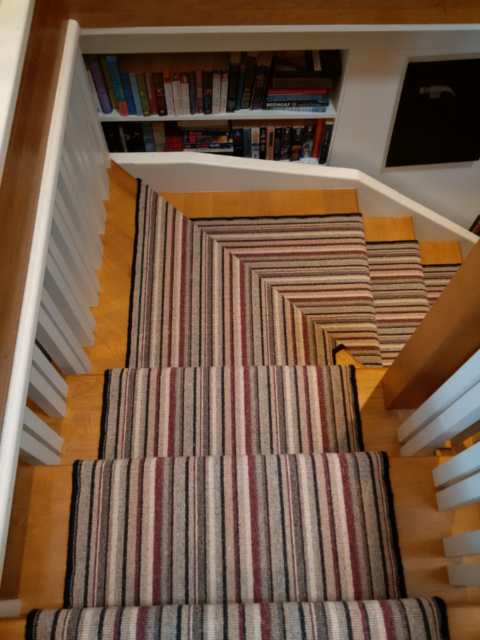 Michael was fast, reassuring, and when the job turned out to be bigger than anticipated, he gave me an expensive long-term solution and a cheaper short-term solution. We talked over the pros and cons to both, with no pressure to choose either way. I'm planning a bathroom renovation in the future, and I'll definitely be calling The Water Works for that when the time comes. It was really nice to meet you yesterday and we are glad that we were able to solve your plumbing issue.